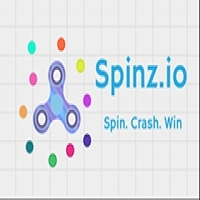 Spinz.io is a combination of Fidget Spinners + Agar.io + Slither. Collect dots to spin faster, collide with other spinners to take their mass, and become the top player in the game. Game directions: Use mouse to move spinner. Strategy Pick your fights strategically, and potentially set up combos by knocking other players into each other.